In early summer, the growth of most plants is excruciatingly slow. Impatiently I watch all things in my garden come out of the earth and mature slowly, together with my cooking friends that come from all parts of the world. The baskets we bring with us during our first visits to the farm are almost empty upon our return to Odyssey. 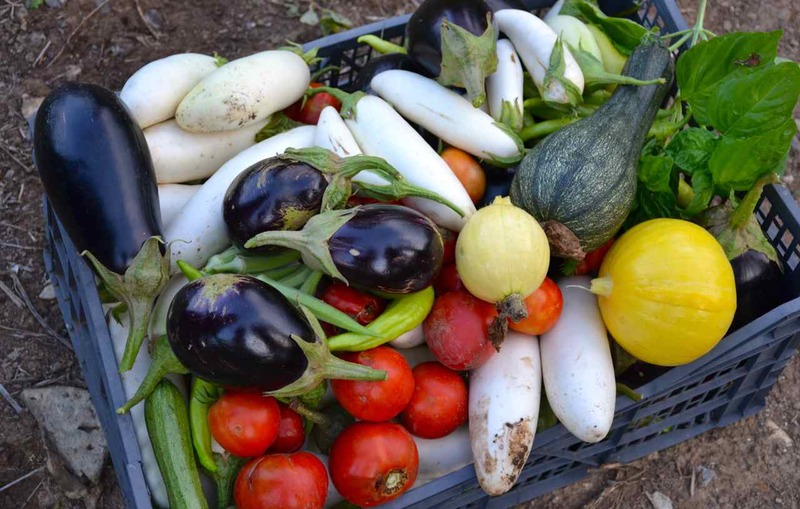 This leaves us to cook those recipes that consist of a few tomatoes, eggplants and peppers, resulting in fried eggplant with tomato sauce and basil or roasted peppers for example. The good thing is though that all the ingredients have just been harvested and are as fresh and organic as they can be! Eventually the vegetable garden starts to produce. Before I know it, the yield is much greater than what my friends and I can use during our cooking classes. We start to cook everything in so many various ways and our guests at the Odyssey are fortunate to experience all those fresh vegetables in so many different recipes. During the September and October months the zucchinis are in full bloom. Large sheets cover my zucchinis and together with my father – the main cause of having planted so many – we use a long stick to shove aside the large leaves to unveil the ripe, full grown courgettes, lurking beneath those giant sticky, hairy leaves. 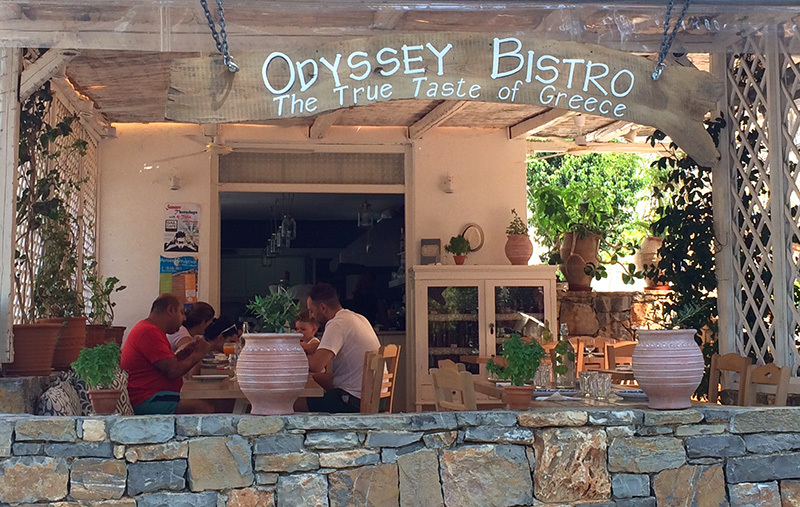 Especially this season my recipes are actually overloaded with zucchini, so much that my friends started to suggest I change the subtitle of the Odyssey bistro from the The True Taste Of Greece to the True Taste Of Zucchini. In other words, the ways to vary on this recipe are endless, and I suggest you all feel free to experiment a little bit and let me know the results of your own variations! We are going to start preparing the zucchini pie by making 4 filo sheets. 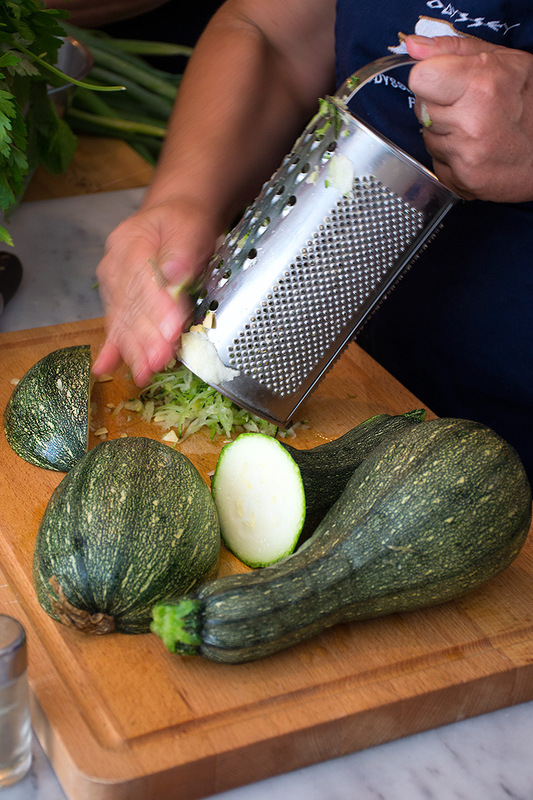 Then it’s time to grate the zucchini. Sooth the chopped onion with the grated zucchini in 2 table spoons of olive oil until they are soft and let them cool down. Put the onion and zucchini in a mixing bowl and add the eggs with the yoghurt, feta cheese, parsley, dill, bread crumbs, salt and pepper. Butter a deep baking dish. 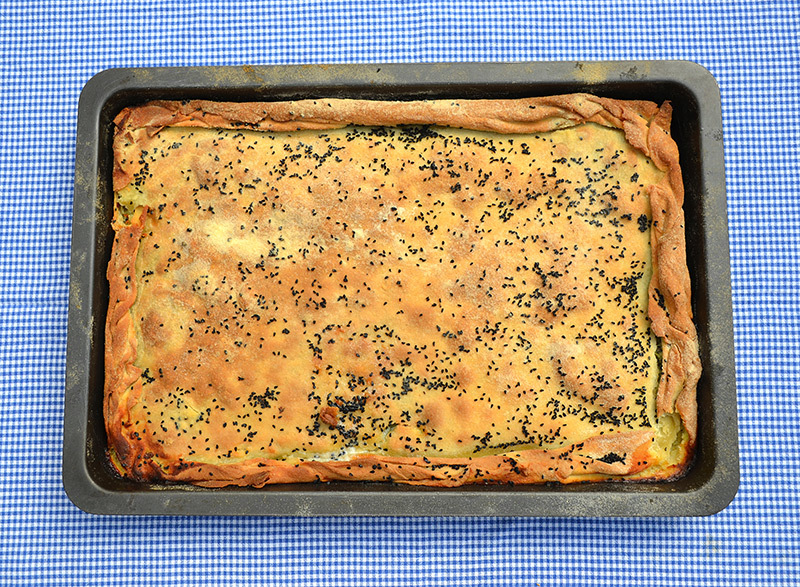 Layer a sheet of filo so that it overlaps the baking dish and extends beyond the rim. Brush the sheet very lightly with olive oil and cover with another filo sheet. Add the zucchini mix and spread it out evenly. Layer a sheet of filo on top. Brush the sheet very lightly with olive oil and cover with another filo sheet. 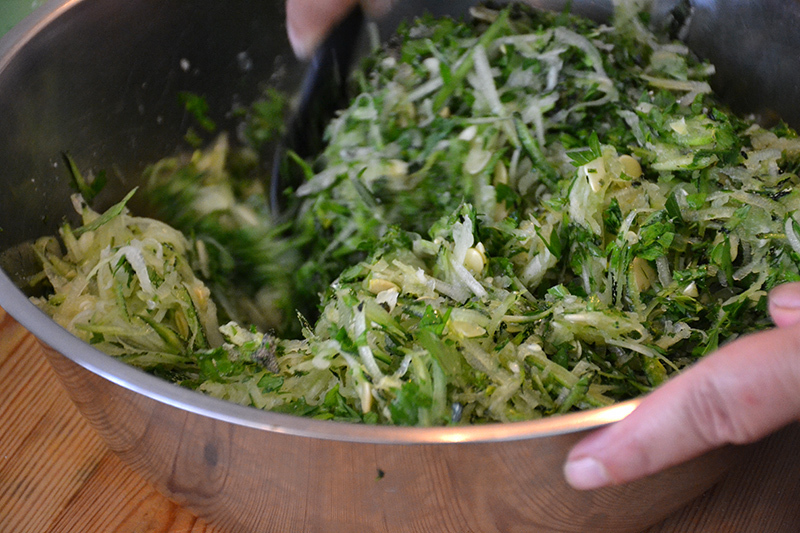 Fold the overhanging filo up over the zucchini filling and brush with oil. 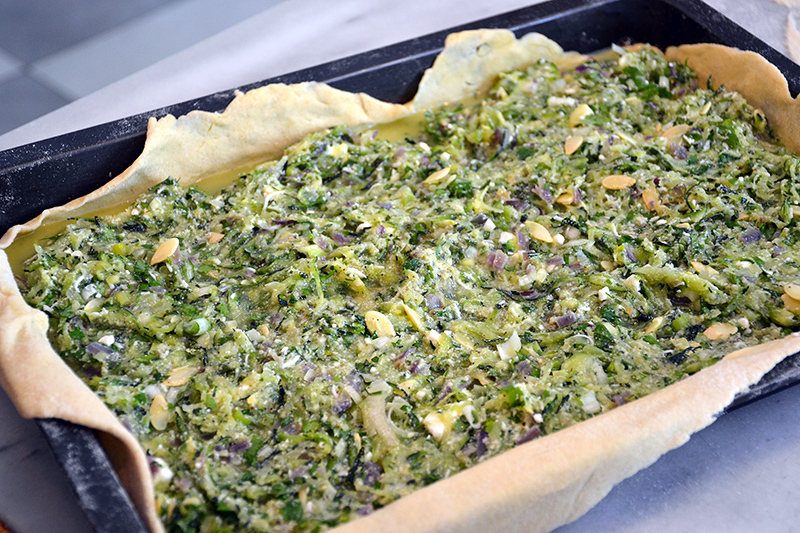 Bake the zucchini pie for an hour! The zucchini pie will come out of the oven all brown and crispy. It’s so tasty you will find yourself making another one the next day! Smooth the chopped onion with the grated zucchini in 2 tablespoons of olive oil until they are soft and let them cool down. Put the onion and zucchini in a mixing bowl and add the eggs with the yoghurt, feta cheese, parsley, dill, breadcrumbs, salt and pepper. Preheat the oven to 180 C / 350 F.
Butter a deep baking dish. 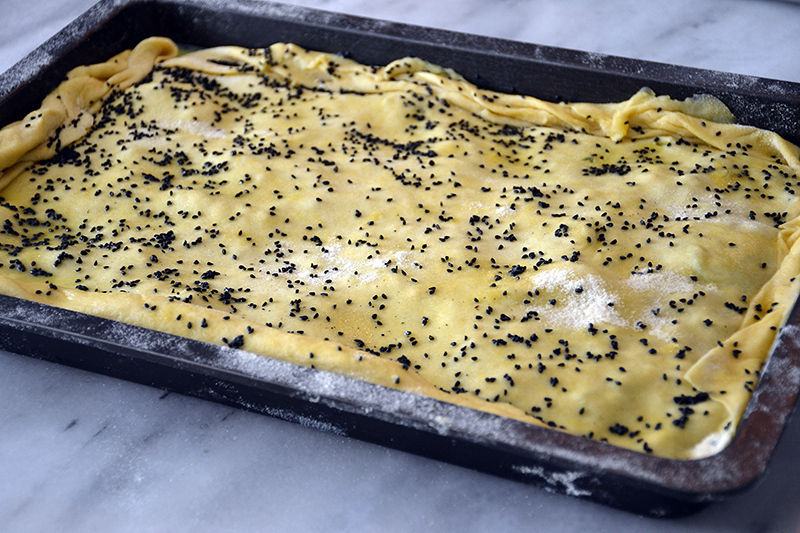 Layer a sheet of filo so that it overlaps baking dish and extends beyond the rim. Brush the sheet very lightly with olive oil and cover with another filo sheet. Add the zucchini mix and spread it out evenly. Layer a sheet of filo on top. 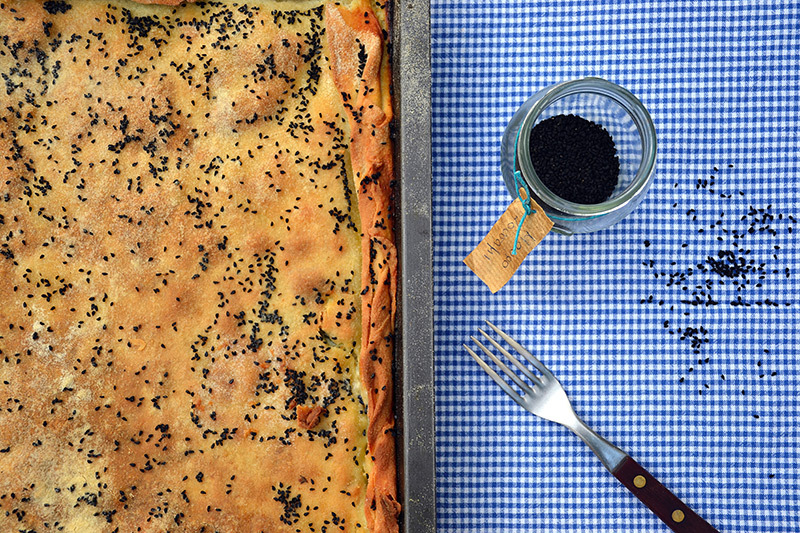 Brush the sheet very lightly with olive oil and cover with another filo sheet. 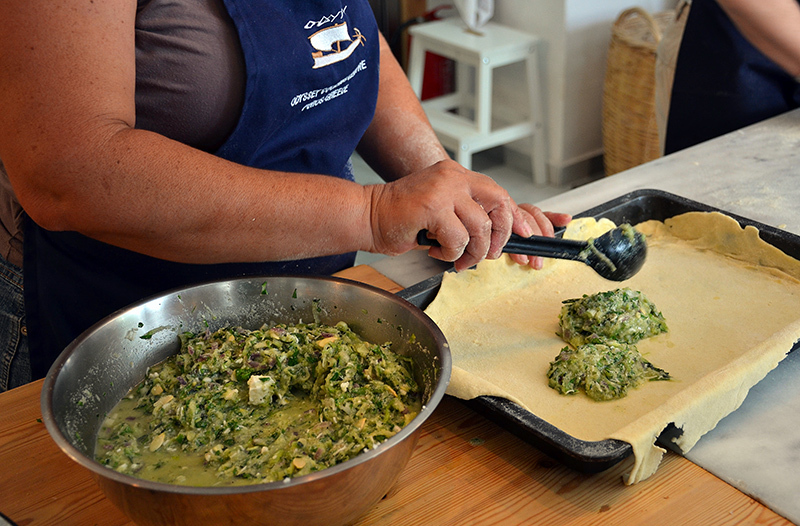 Fold the overhanging filo up over the zucchini filling and brush with oil. Bake for an hour. Extra flour for work surface and hands. 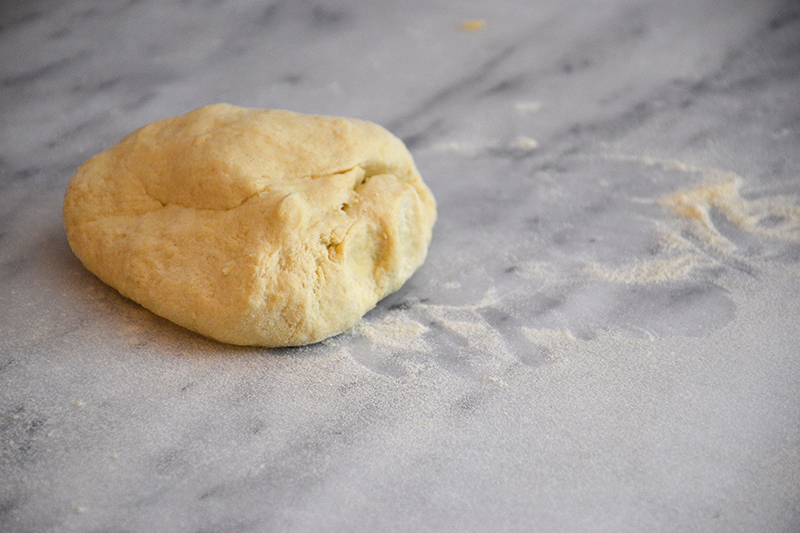 Mix all the ingredients in a ball by hand or in a stand mixer until you get a soft dough. Add more water if it appears dry or flour if it is too soft. Knead for approximately 10 minutes. Let the dough rest for 30 minutes covered with a plastic wrap. Knead for another 10 minutes and let it rest for another 30 minutes. Take a quarter of the dough and cover the rest with a cloth. Flour your surface and the rolling pin. Roll out the dough as thin as you can! Repeat this process with the rest of the dough so that you have 4 filo sheets.